Product #10670 | SKU 001945 | 0.0 (no ratings yet) Thanks for your rating! A plastic moulded stand for all microphone with a 19mm diameter. 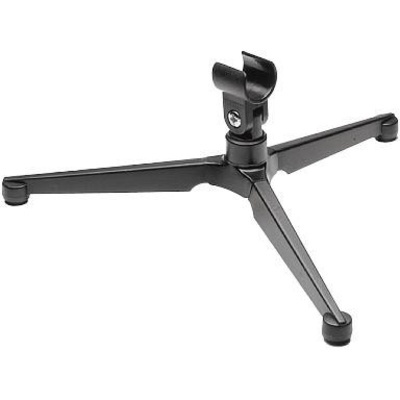 The Sennheiser MZT417 - Table Stand is a lightweight, plastic moulded table stand with 3/8" thread and detachable microphone clip. Provides excellent suppression of handling noise. Suitable for all microphones with a diameter of 19 mm. Can be used with other diameter microphones by removing the attached clip and using the clip supplied with the microphone.